Ethiopian Space Science and Technology Institute want to support female researchers and aim to cover all the necessary costs for them to do research on space science and technology areas. The applicants should fulfill the required qualification and requirements listed below. Applicants should able to bring support letter from their government organization. Applicants should be an Ethiopian. Interested applicants who fulfill the above criteria can send CV, research proposal and action plan by the email address written below. 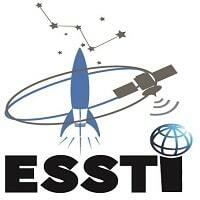 Note: Ethiopian Space Science and Technology Institute (ESSTI) will support research up to 3 months.